Coral Princess Golf & Dive Resort offers panoramic oceanfront views of the Caribbean Sea to wonder with every outstanding sunset, the passage of cruise ships and, with a bit of luck, sighting of dolphins. At night, comes the time to enjoy spectacular moonlights. 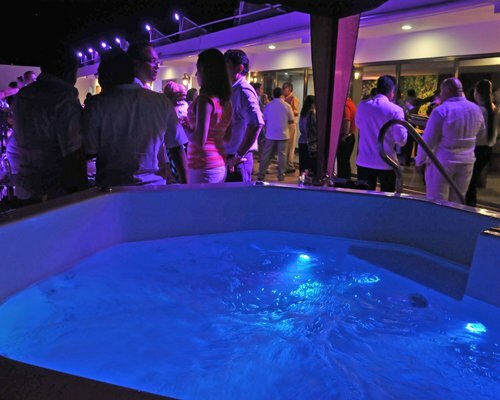 - Located on the San Juan reef. 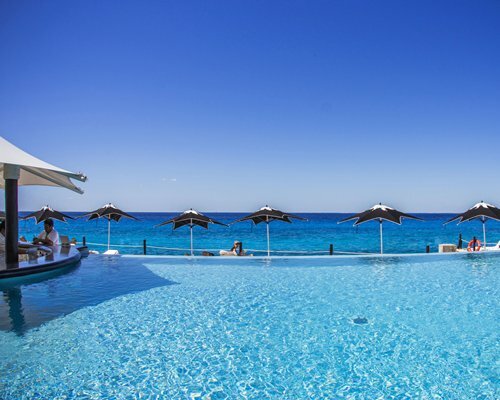 - 148 oceanfront rooms and Suites. - Beach area. - Building.with 9 levels. - Specialty Restaurant with Italian Chef Toni Parente. - 4 Bars. - Internet Wi-Fi (extra cost). - PADI Scuba Shop on-site. - Scuba gear rinse station. 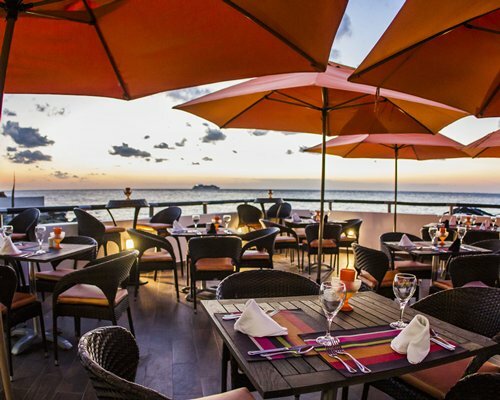 - Special rate for Cozumel Country Club. 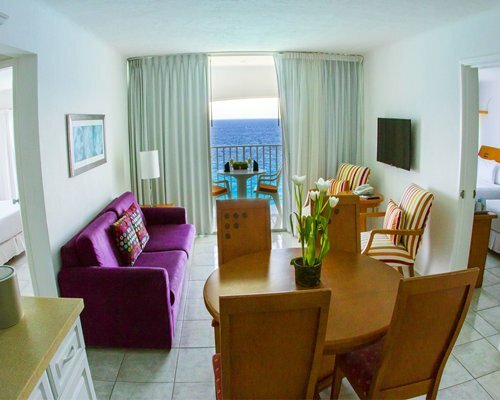 From all of our 148 rooms you will enjoy breathtaking views of Cozumel's natural beauty. 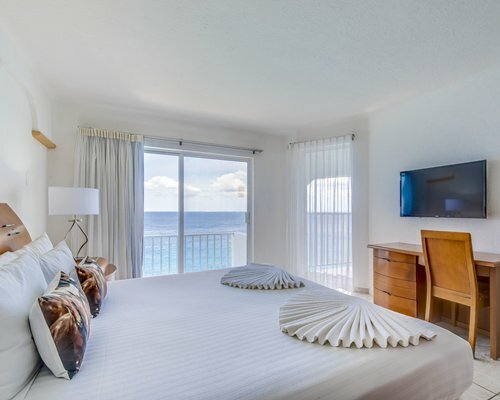 Our full-size windows and balconies will make you feel free as a bird above the multihued waters of the Caribbean Sea or the deep, exotic jungle that dominates the land. There are so many wonders to admire from above. 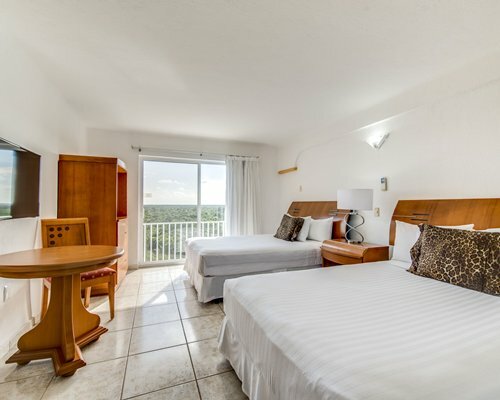 All guestrooms at Coral Princess Golf & Dive Resort are non-smoking rooms. - Internet Wi-Fi (extra cost). - Flat screen with cable signal. - Long distance phone service. - Safe deposit box. - Coffee maker. - Hair dryer. - Sliding window or balcony. 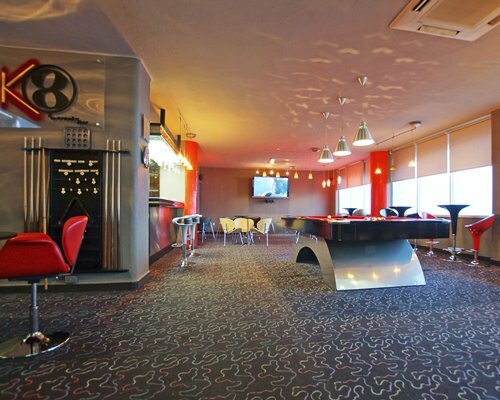 - Panoramic balcony (Suites only), - Equipped kitchenette & Dining table (Suites only). -Living room with sofa bed (Suites only). 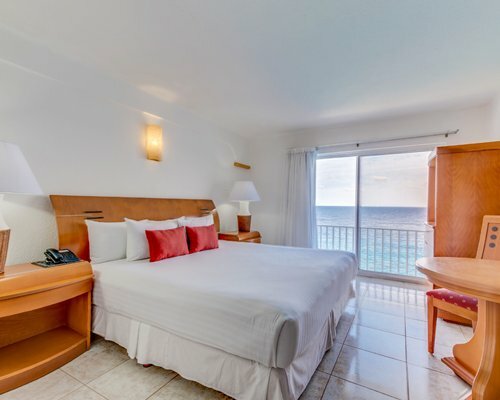 Coral Princess Golf & Dive Resort is an European Plan Hotel located on the North side of Cozumel Island only 2.5km away from the colorful San Miguel Town and 3km from the Cozumel International Airport. 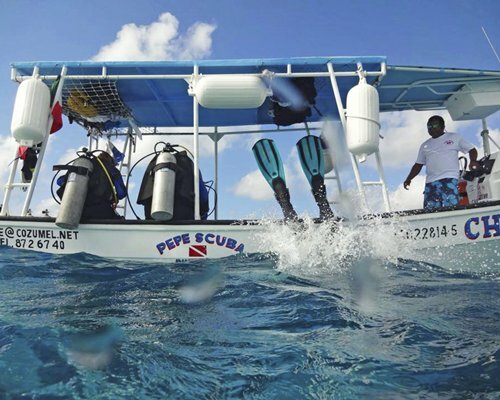 The Hotel is located in front of crystal-clear waters of the Caribbean Sea, where professionals and adventurous can do snorkeling to get into the fantastic submarine world one jump away from the hotel dock. - 2.5 km away from San Miguel Town. 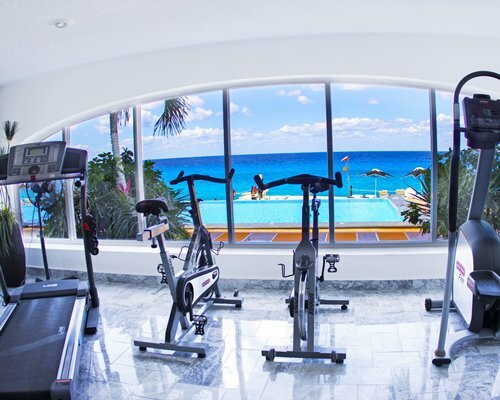 - 3 km away from the Cozumel International Airport. 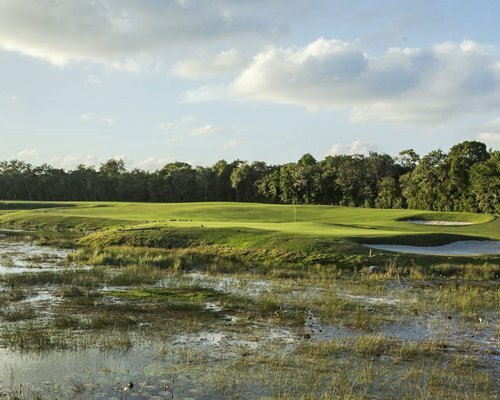 - 3 km away from Cozumel Country Club 18 holes PAR 72. - 700 mts away from Marina Port. To go to Cozumel you have to take the ferry that leaves from Playa del Carmen. 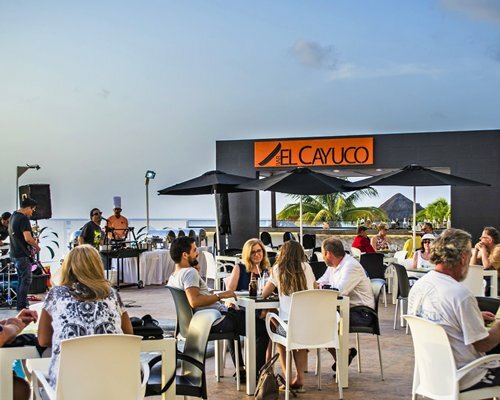 There are ferries departing every hour on average in Playa del Carmen. No reservation is necessary to take the ferry, just to be present 15 minutes before departure of the ferry and buy your ticket at the box office. The crossing takes 30 minutes to Cozumel. 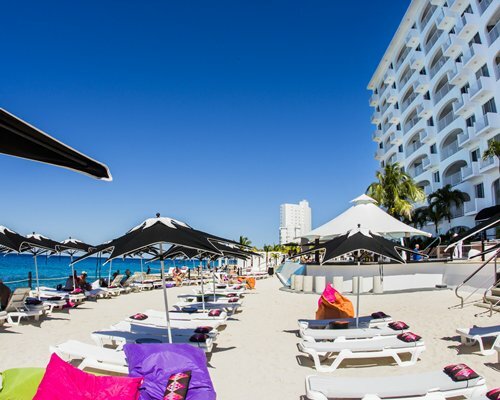 By plane there are also comercial flights from Cancun to Cozumel. Mandatory Cleaning Fee is 3 U.S. dollars. Only Credit Cards accepted. Mandatory Cleaning Fee is 4 U.S. dollars. Only Credit Cards accepted. Mandatory Cleaning Fee is 5 U.S. dollars. Only Credit Cards accepted. Two Bedroom Suite $5.00 USD per night. Mandatory Cleaning Fee is 6 U.S. dollars. Only Credit Cards accepted. Service fee is 4.00 U.S. dollars. Only Credit Cards accepted. Mandatory Service Fee per room, per stay.